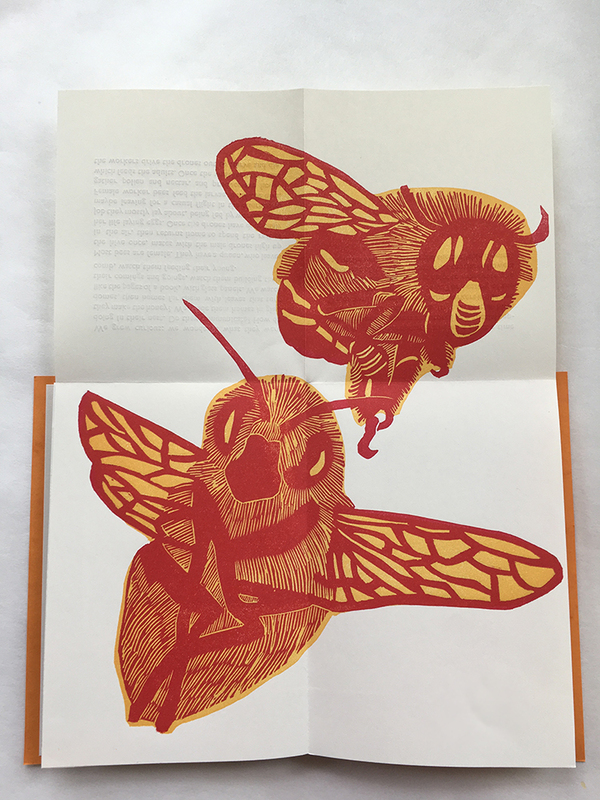 We have been robbing the bees for thousands of years. How much do we really know about them? How do they live and how do they work? 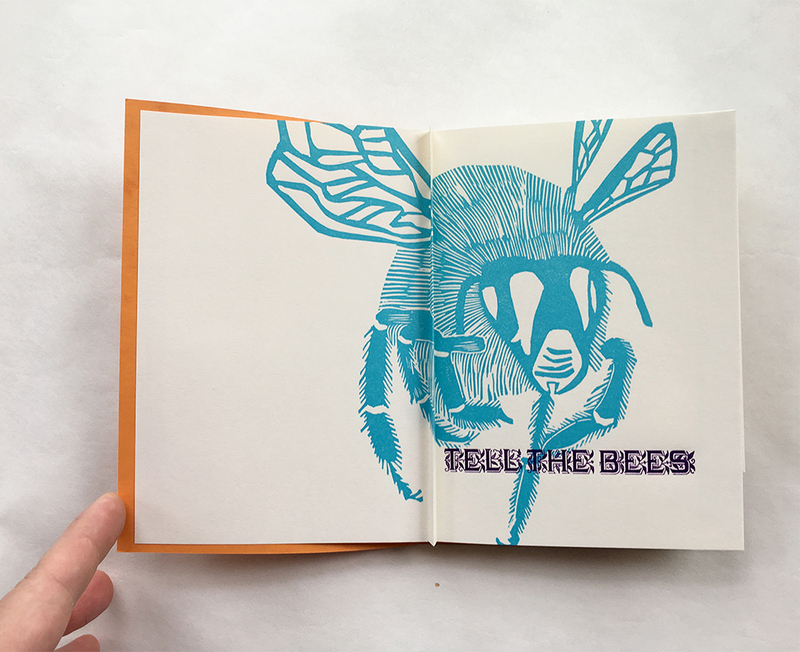 Tell the Bees is an illustrated investigation into bee community. 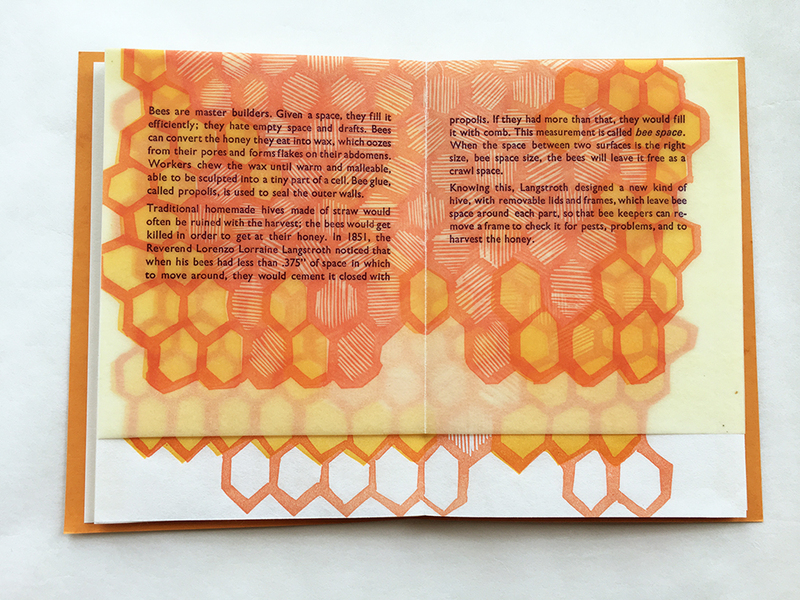 Learn about the great bee matriarchy, communication as dance, sound construction techniques for the home, how to get rid of a layabout mate, and of course, how to make honey. 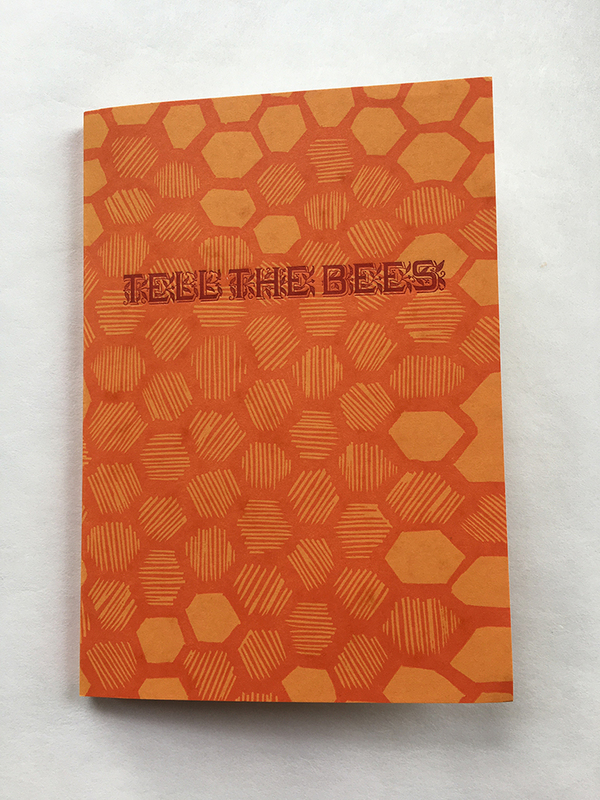 Tell the Bees is the Summer 2016 Brain Washing from Phone Towers Informational Pamphlet. 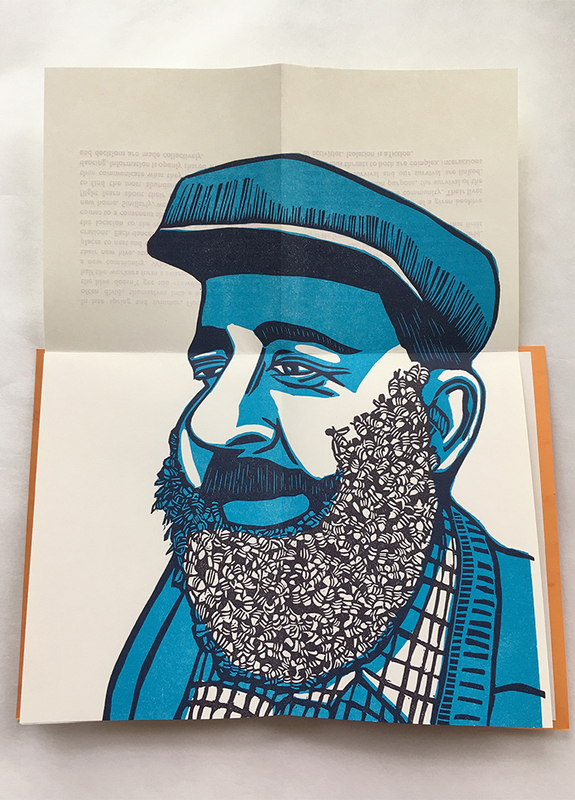 Produced in an edition of 150, printed letterpress on French Paper and Kozo papers, with a little beeswax inside. 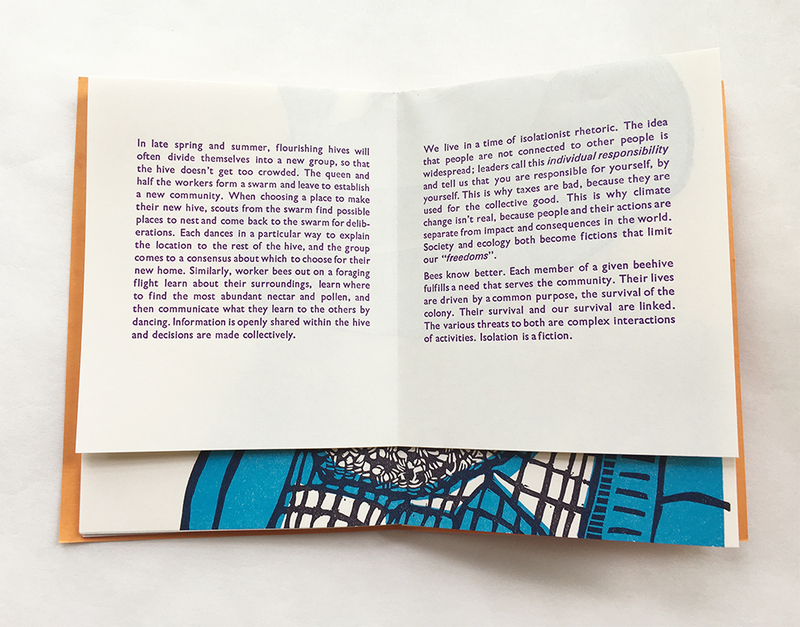 I printed the edition in July at the Columbia College’s Center for Book, Paper, and Print in Chicago, and I thank them for their studio support.